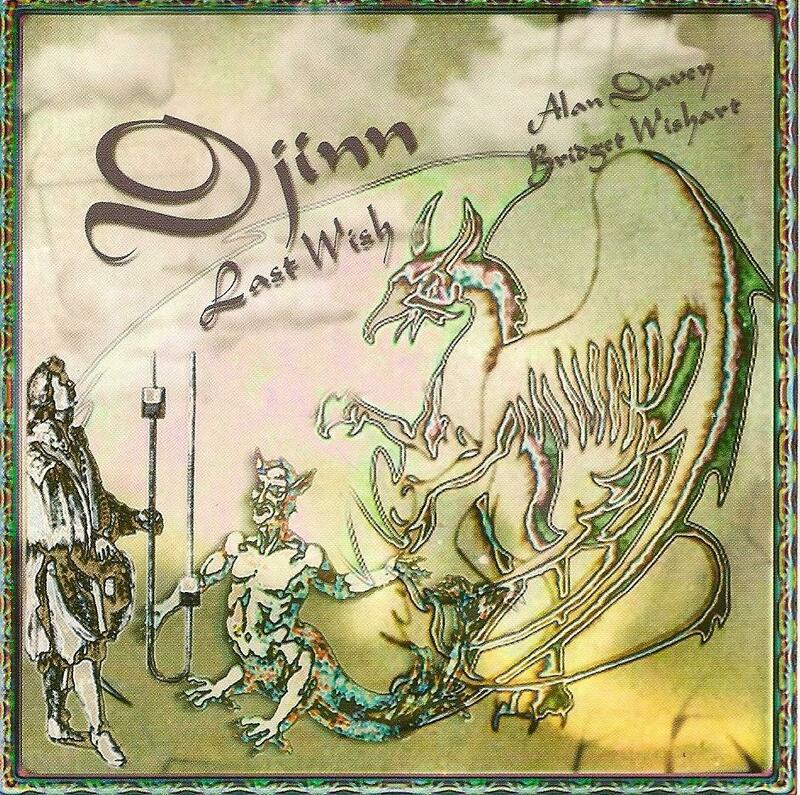 Djinn is the new project of Ex-Hawkwind's Alan Davey & Bridget Wishart. The album is somewhat of an expression of the Islamic Tradition rendered in the style of space, playing with the concept and glorification of the demonic spirits of the Djinn. Get behind thee Satan! Last Wish, in places, rolls with an almost Nik Turner's Sphinx band feel, but only in places. Overall, it has a definite Arabic ethnic feel firmly planted into its heart and it plays with this to no end, making an interesting listen for those who would like to know what Alan Davey and Bridget Wishart are doing at the moment. The tracks are varied, mellow and sometimes almost heavy, but behind them all there is a definite synthesizer styled space. The heavier side to this is done in slight Hawkwind fashion, bringing out the elements that have drove Davey's bass playing for years, but I must stress that it is not Hawkwind! It does, however, play with similar riffs here and there as you would imagine, but on the whole it is an excursion into the Arabic, a style that Davey has played with before many times. Besides the heavy styled stuff we have a more ambient traditional side that is mellow and spacey, conjuring thoughts of Vangelis' nice key pads, taking the influences of tradition somewhere else, throwing them into the experimental world with a passion and a cause. It is here that Wishart vocally makes her mark, as all the vocal duties are hers. Overall, on first listen, it's not bad, it's not great either, but it delivers what the title suggests and it is done well. The sound is there, tight and well executed, and that is good enough for me. Alan Davey fans will not be disappointed.